A 10-minute walk away from the La Porte Precinct retail parade this location provides a range of workshop and studio options ideal for the industrialised businesses along with a choice of furnished or unfurnished serviced office space that have access to free parking and are IT and telecoms ready. High quality offices coming in a range of sizes are available now at this business centre complex on the busy Falkirk Road. The building is in a central location in a major port, only four miles from Falkirk, with easy M8 and M9 access to Edinburgh and Glasgow. The property is accessible 24-hours a day and benefits from many free and secure parking spaces. 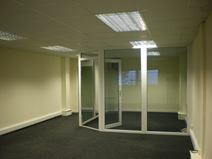 The space is available on flexible terms, perfect for businesses of all shapes and sizes. This Grangemouth centre offers a wide array of offices, making it an option for all types of businesses. 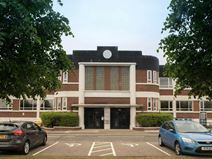 The centre boasts meeting rooms that are equipped with AV equipment and useful tools, WiFi, an abundance of parking (including disabled spaces), a customer lift, and a great location. The centre is situated just outside of Falkirk, allowing for easy access to all of the town's amenities, and is only a 45-minute drive to both Edinburgh and Glasgow. There is also direct access to Edinburgh Waverley via Falkirk Grahamston rail station.